The exhibit didn’t disappoint. 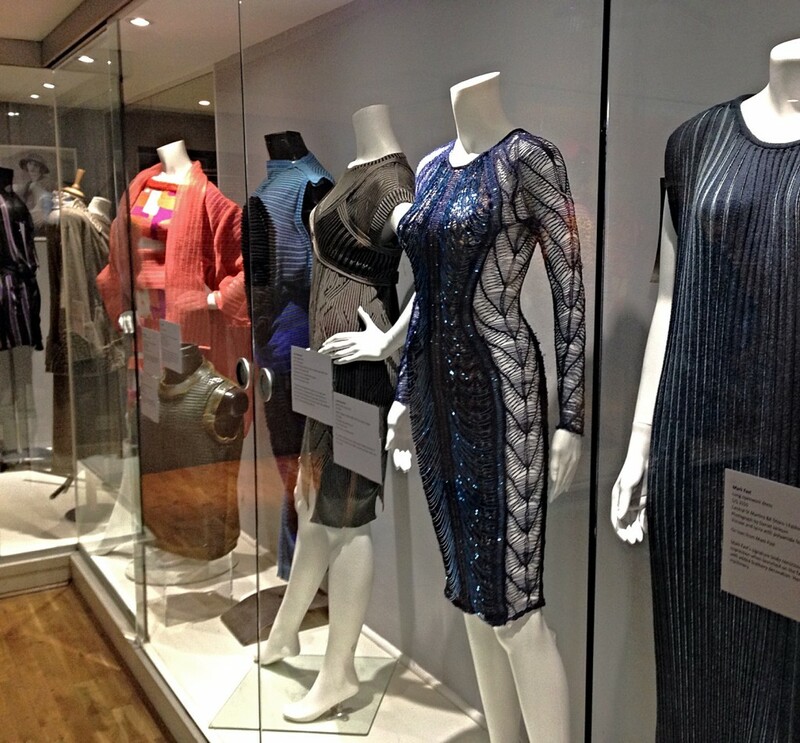 Showcasing knitwear examples from the early 20th Century up to the present day, I was clearly able to see how innovative knitting has been from the start and how it governs and shapes so much of what we wear today. The expo took us through war-time knitwear, where shortages of yarn meant having to recycle and reuse. Garments were combined or added onto. Then through the experimental 60s, 70s and 80s, where colour was unrestricted and shapes were experimented with. Grunge knitting, where ‘anarchy’ and ‘deconstruction’ were the buzzwords. I particularly loved a Westwood example – a black tangled mess to the untrained eye, but look closer and it’s really a punk statement piece that broke away from the uniformity of everything around it. And like so many things that come back around, it wouldn’t look out of place today. We ended up in the present day, where knitting continues to innovate and push boundaries, in terms of design, types of fibres, construction and techniques used. Just look at that blue sequined, lacy dress creation that caught my eye! The exhibition has sadly come to an end now, so I hope many of you managed to see it! Photography was only permitted in one of the smaller galleries, so I took as few snaps to share with you. Having visited a local knitting exhibition in Nottingham, and now this one in London, I’m inspired and will not think twice to visit another show like it! Check out these upcoming events below to further feed your knitting addiction! With the Edinburgh Yarn Fest soon upon us, I’ve got the exhibition bug. And if anyone else has any other suggestions, please share and comment.